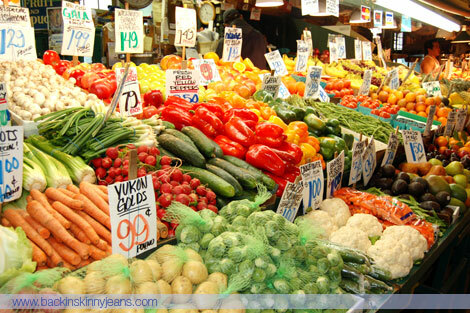 Wouldn’t it be great if we could run to the local farm market and buy fresh vegetables every day? After all, nothing tastes quite as good as fresh picked vegetables. Unfortunately, for those of us who live in Ohio and not on a tropical island, winter always comes. Yes, you can stop by your local grocer and buy fresh vegetables year round. But where did the flavor go? Not to mention the price! It is bad enough the cost of everything is higher in winter but I personally hate it when what I am eating doesn’t taste nearly as good as it did in the summer. Why are vegetables in winter less flavorful than the ones purchased at the farm market in the summer? The reason for the decreased flavor in winter is most vegetables are picked a little earlier than they should be. This provides a longer shelf life so they can be shipped great distances and stay in your grocer’s storage room for a few days before being placed in the bin for purchase. When you stopped by your local farm market, the vegetables were picked ripe and at their peak of flavor. Fresh vegetables found in our grocer’s produce bins are typically picked before they have had the opportunity to fully ripen. Research shows that fully ripened produce has higher nutritional values than produce picked prematurely. We usually find that canned and frozen vegetables actually taste better in winter and cost less than fresh vegetables. But are we sacrificing our family’s health buying canned or frozen? Admittedly some are a little heavy on the salt, and I have heard concerns about chemicals (BPA) seeping into the vegetables from the can. But at least the nutrition of the vegetable itself has not diminished much if any from the canning or freezing process. When the vegetables are heated they will lose some of their vitamin C and folate values. However, the loss is minimal and research suggests these may be the only nutritional values affected. How do you get around the possible chemical seepage in cans? Can yourself. Home canning is done in glass jars. At the grocer you can usually find fruit canned in jars but it is rare to find vegetables in jars. How do you avoid losing nutrients to heat? Unfortunately you will not always be able to and for good reason. Canning always requires cooking to kill bacteria that can cause botulism. Freezing sometimes requires blanching which halts enzymatic activity. 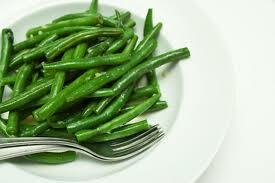 As for the frozen vegetables that do not get blanched first, freezing kills most microorganisms. If any remain, they are killed when the vegetables are cooked. How do you know whether to blanch a vegetable or not before freezing? It is best to follow the freezing recommendations for the particular vegetable. We provide a few here. You can also visit the National Center for Home Food Preservation at www.fcs.uga.ed or PickYourOwn.org at www.pickyourown.org.